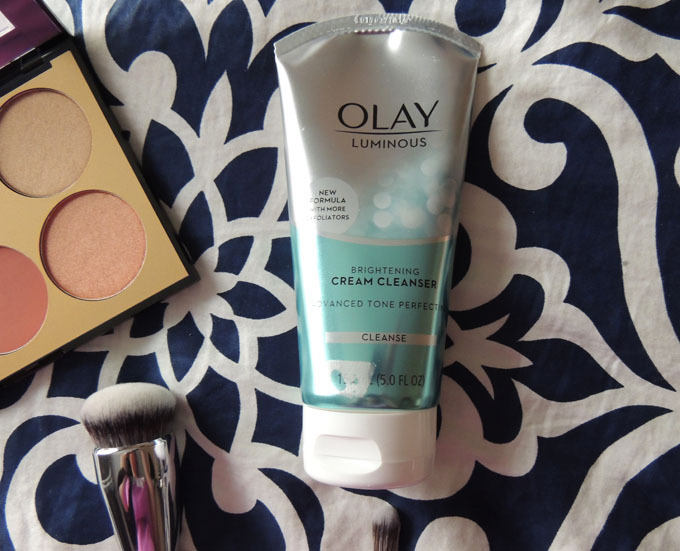 Thank you to Olay for sponsoring today's post! As always, all thoughts and opinions are solely my own. Thank you for supporting the brands that support me! 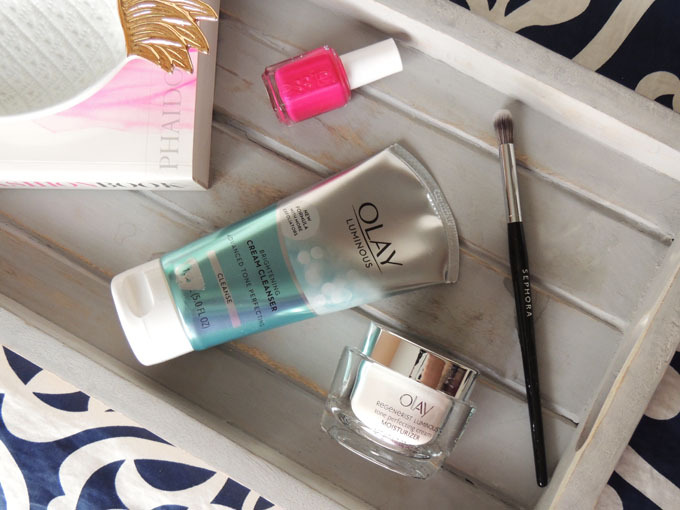 When I first started being more serious about skincare and began to use skincare products daily as a teenager, Olay was one of those brands that my mom always helped me pick out. Like I mentioned on Instagram Stories the other day (@dailydoseofdesign) the other day, it's one of those brands that you can count on to always be reliable and you know that the products will work wonders on your skin! You guys are well aware that I'm always looking for the very best skincare products to take care of all skin types and for all times of the year. There's nothing more important (beauty-wise) than taking great care of your skin and that starts with the right skincare regimen for you. I think the coolest part about Olay is that they're incredibly innovative; every time you go to your local Walmart or where you buy your Olay products, you likely notice that there's new things to try. They keep up with the trends and go far beyond them, too. I'm so excited to be a part of the new Olay 28 Day Skin Study that helps you find your very own products from their various lines to have THE best skin ever! The Olay 28 Day Skin Study is ridiculously awesome because they also rolled out their new Skin Advisor Tool. It's a quick and easy online quiz to help figure out the perfect Olay products for your skin! You can even do it right from your phone, where you take a quick picture of your face and it assesses what they recommend. You get a "skin age" based on what it sees from your picture, and finding products that are awesome for your skin and customized to you hasn't ever been easier. The products that came back from my skin analysis were the Brightening Cream Cleanser and the Regenerist Luminous Tone Perfecting Moisturizer. I'm so glad that these were the products they recommended to me, because they're now products I use in my daily routine! Olay may sound like a brand that's been around for a long time, the brand all of the women in your family generations before you used and nothing you'd think to use... Well think again, because they've totally redefined themselves and it's rather incredible what you can do to your skin using these Olay products. The first thing I noticed about this cleanser is how refreshing it is. It smells incredible (some cleansers have a bad smell, not this one - in LOVE!) and it exfoliates and cleanses your skin thoroughly. I've also noticed since using this cleanser that my makeup appears smoother, my cheeks are less red, and to the touch my skin is softer. I've been using this moisturizer during my 28 day study and it works incredibly well! It's meant to fade any dark or sun spots and help your skin to regain its glow and radiance. It does ALL of this, but seriously my absolute favorite part about this magic-in-a-jar is the SMELL! Guys I wish I had a scratch and sniff so you could smell this. I don't even know how to describe it, other than I find myself smelling the jar whenever I open it to use it, HA! For real though it's incredible and super affordable. It's light on your skin and doesn't leave you feeling greasy (Amen!). I use it in combination with my normal moisturizer and use this sort of as a primer since it's super light. It's also what I use in combination with the Brightening Cream Cleanser every night. This 28 day skin study is doing my skin SO well! I'm totally seeing a difference in my skin since starting this study. I may only be 22, but anti-aging is huge for me and should be for anyone if you ask me! It's never, ever too late (or early!) to get a head start on taking preventative steps to keep your skin smooth, clear and beautiful. So far, the 28 Day Skin Study with Olay has been incredible for my skin. I like to think of it as a permanent detox for my skin! ;) If you decide to take this study along with me, make sure you hashtag your post(s) with #28DaysOfOlay as the study goes on to share your products and how it's going with everyone else, too! The best way to have a better skin is that you should know your skin type and use the products accordingly. Also, prefer for the products that are made from natural products. 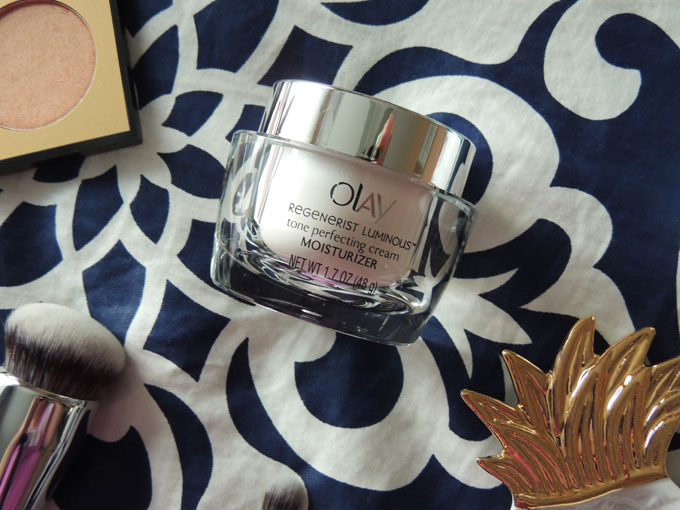 I was so excited when I clicked on this post because I JUST bought an eye cream and moisturizer from Olay! I've seen the brand do wonders for my mom's skin and I'm hoping it'll help me, too when it comes to starting my "grown up" post college skin routine! Love that you can take an online quiz for them to tell what works best for everyone individually! I was totally that person who thought of Olay as something my mom and grandma used, totally not something for me but now I'm so curious! I'm at the age where my skin needs protection from aging. This sounds like a great product. 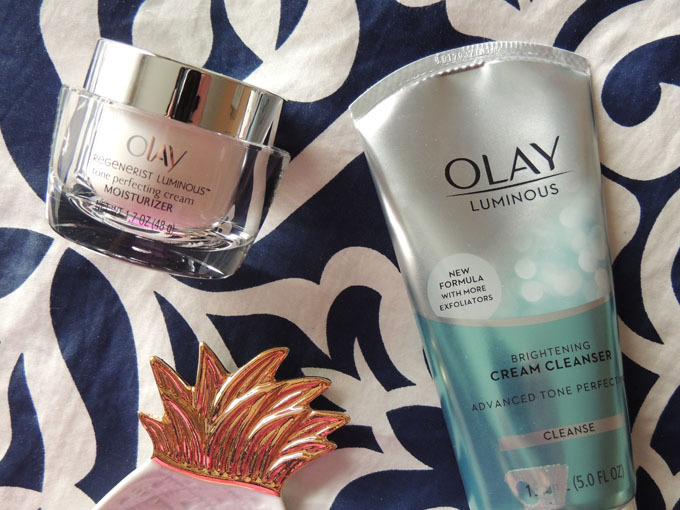 Olay is a drugstore skincare product that's good and affordable. Love your pics AD, and Olay is always a great product, I have used them off and on for years! Okay has been a great product for years!! I love them! Olay has some good stuff! That moisturizer sounds so good! 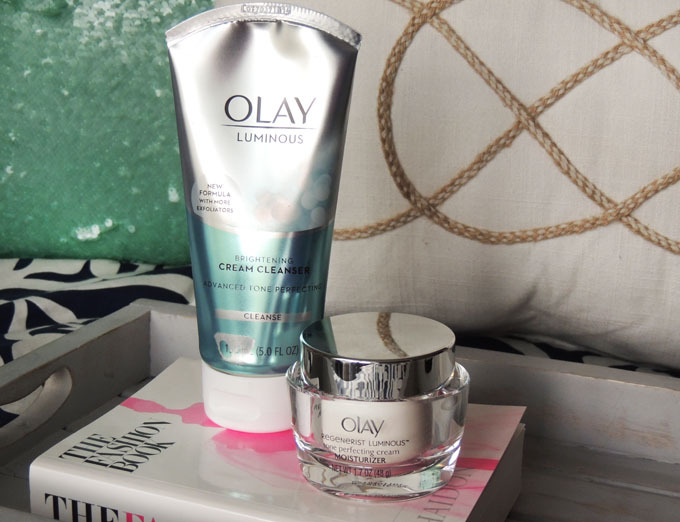 I love Olay products but I haven't had a chance to try either of these. They both look great! I'll have to check them out next time I'm at the store! I always wanted to love this product. 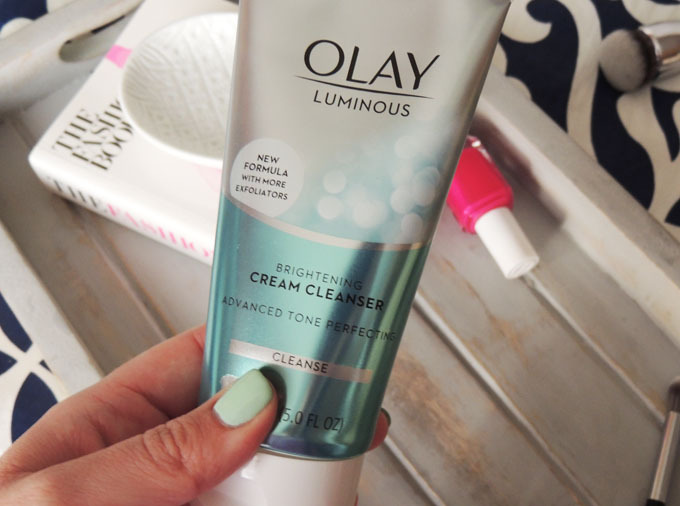 Olay has always been great with my skin, with this one exception. I was surprised that this product's "expert review" didn't include anything about how fragrant it was. Ignoring that, I tried the moisturizer on my face. My skin started to burn, peel, and turn red. The irritation stopped once I cut this product out of my skincare regimen. Again, I love Olay- just not this moisturizer. I haven't used Olay products in quite some time. I'll have to check these out. I really need to try Olay. I have heard great things. I just try things and not sure what I need to stick with to stay consistent. the trial for 28 days sounds interesting. Olay products are always known for their lovely smell. I think this cleanser is something that I would love to use on my face. So far, all of their products work well with my skin. Wow! This sounds like a lovely new product from Olay and I sure wouldn't mind giving it a try. I like hydrating cleansers that make my skin feel soft afterwards. I love Olay products!!! 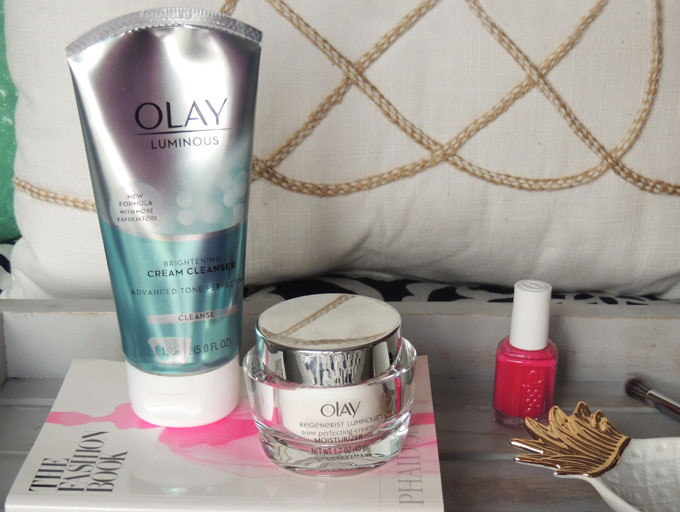 I have never tried these specific products, but I have an Olay under eye cream and it is amazing!!!! I need to try that moisturizer! I'm always looking for ways to make my skin look like it's glowing! Oh I've never heard of the Skin Advisor Tool. Will have to check it out! I think I need to give this a try! I need to start a daily skin care routine and that helps my skin look brighter and enhances any of the youth I might still have left. I definitely want to try out the skin advisor tool. That sounds awesome! This post could not have come at a better time. LOL! I've been searching for a new moisturizer and everyone has been suggesting ones that cost an arm and a leg, or require a prescription. Ugh. I'll have to try the Olay one because at least that one is over the counter, and I'll bet much cheaper! my mom is an Olay fan!! Im sure she will like this post!! gonna bookmark this and will show it to mom later! It's never too early to take care of your skin! This sounds like a great product! I love Olay! I never knew about their Skin Advisor Tool though - I'll definitely have to check that out! I discovered Olay many many years back when I worked for a short time abroad. I tried their moisturizing cream and I was hooked immediately. Olay has a good skin care line! My mom always buys Olay, but I rarely do - and I have no clue why! I've gotta revisit them in the drugstore fosho. Good skin is the sign of healthy skin. To maintain that skin use Lifecell anti aging cream Canada. This cream will help you to get flawless and beautiful skin. I have used their face wash for years with no complaints! I like their products and the scent! We all love our skin. So it is important to take of your skin. Use Revitol skin brightening cream, this cream will helps you to brighten up your skin. Summer comes with a lots of colors and apart from this it is also important to take care of your skin too. In summers sun rays may damage your skin. To prevent from that damage use best lifecell skin cream. It protect your face with damage. Olay has been quite famous brand found among the beauty industry. And none the less many people have shared their best experience with this beauty cream. I am also using the olay beauty products from the past 3 year and I haven't found any negative point about this product. I have too sensitive skin and easily prone to allergic reactions. The skin care cream I'm using these days is best for my skin and is a complete solution for the sensitive skin problems. If this product is good for sensitive skin then I would love to buy it. Allergic reactions can be bad at times and it must be treated as soon as possible. Skin care cream can be useful at time but not all are good so you must choose it wisely. Olay is a great product heard a lot about it. Right now i am using lifecell all-in-one anti aging cream but surely gonna try olay in future. Dermatologists agree that sunscreen and moisturizer are the two most-effective anti-aging products you can buy. Using these every day can make a noticeable difference. On the off chance that you need to peruse about these capacities in more detail you can observe this article: "Life systems and Physiology of the Skin". Everyone needs to seem sensible and contemporary particularly for females therefore your article is incredibly emotive concerning skin care. First of all, looking for great shopping daily deals? Want to get big discounts, freebies, and other perks from vendors? I really enjoyed reading your post. Our skin also needs lots of vitamins and proteins in order Skin Care to look healthy and nourished. Thanks for providing the great material. Nice information share!! I truly like the valuable information you had provide to your article. I would also like to share some valuable information regarding the anti aging problem I was facing. So for that I started using anti aging solution by dermology it's totally natural and does not cause any harm to our skin. So it's truly a must try product for every individual. You are never excessively youthful or excessively old, making it impossible,acne treatment making it impossible to begin dealing with your skin. It also prevents the appearance of puss-filled blemishes on skin and heals the cold sore outbreaks near lips and chin. cheap insurance full coverage These problems could affect the personal hygiene of a certain person. Being a person, you must aware of your physical appearance because it is one way your fellow could rate you as a human. To those who are not aware of this, maybe you don't love your selves anymore. Great Share! If anyone interested to buying flats in Silvassa for senior citizens visit paraisodecasa website. Items that aggravate the skin can really build wrinkles and debilitate the skin against insurance from ecological harm, for example, UV from the sun's beams, which is without a doubt NOT what you need! When was the last time you utilized an enemy of maturing angelina jolie beauty products skin cream that you really felt made your skin smoother and increasingly young? We are actually overwhelmed with beauty centered promotions and data.angelina jolie skincare This decision and introduction to different brands can make it troublesome for us to settle on the best items to purchase. My fav skincare products are estee lauder.. But maybe I'll try this brand..